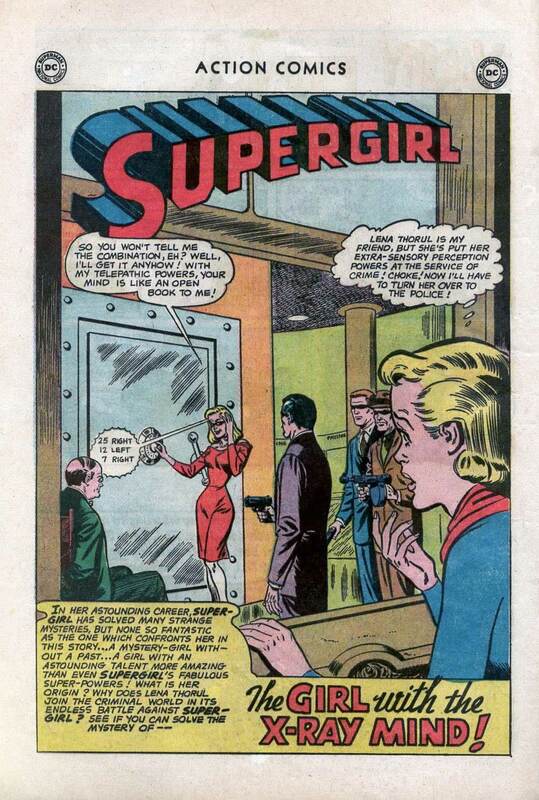 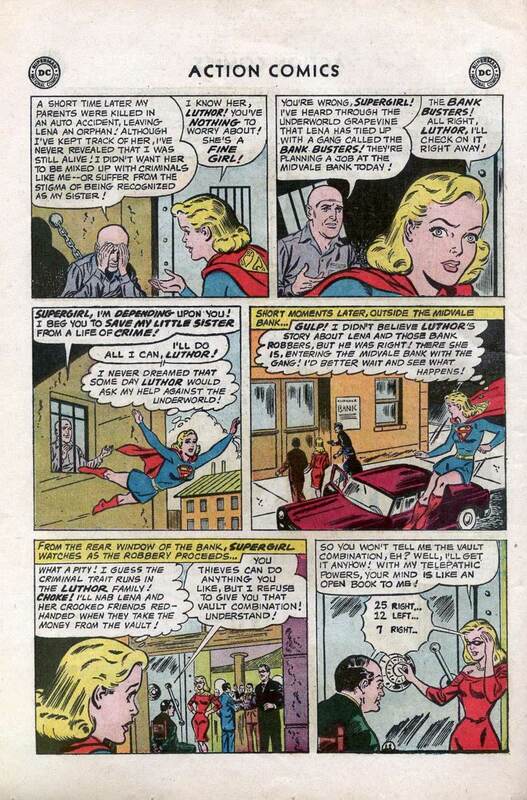 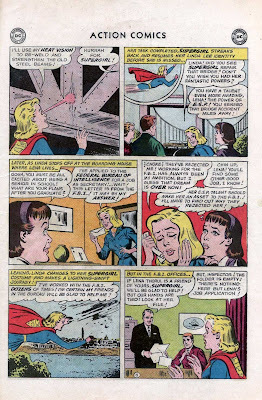 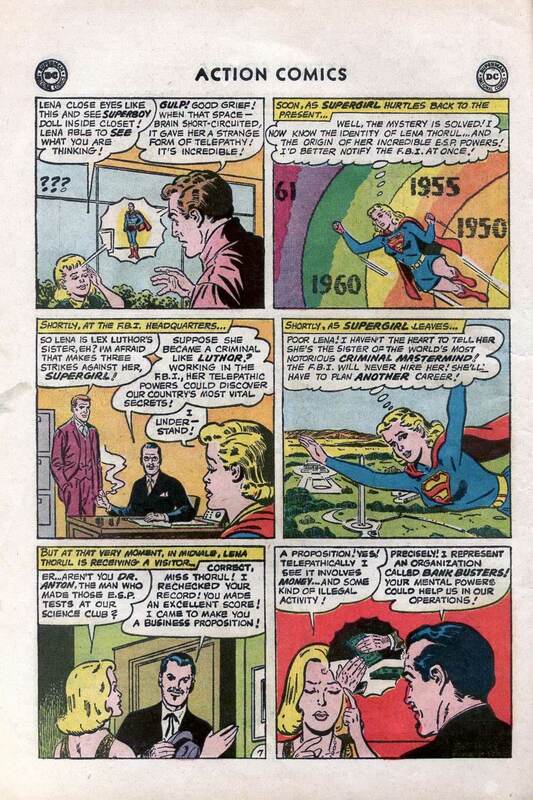 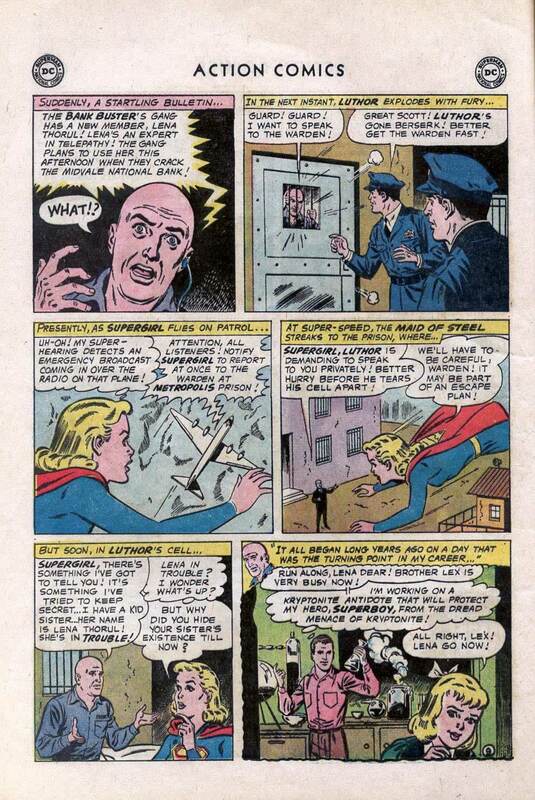 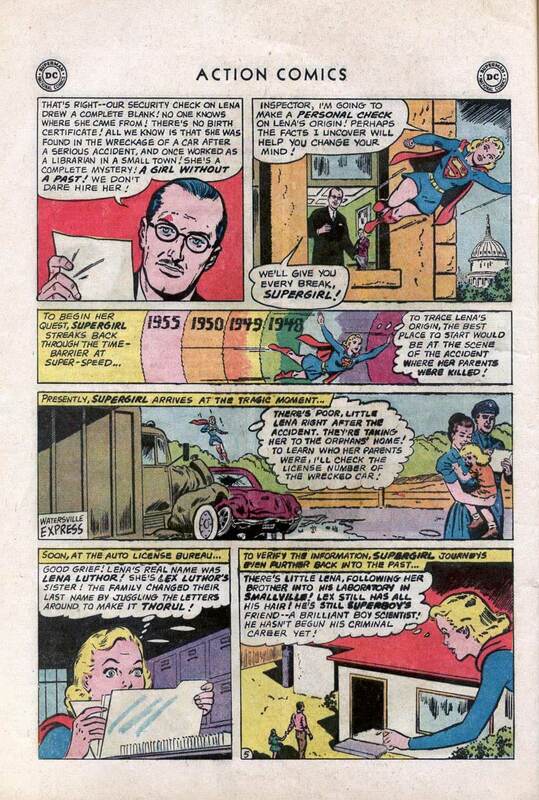 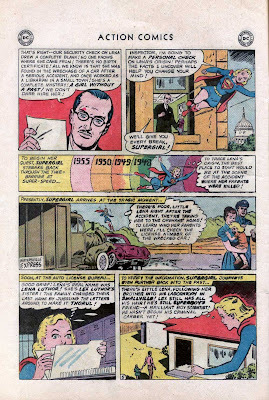 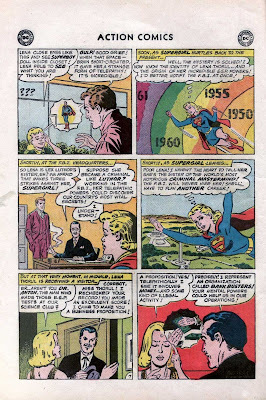 Supergirl: The Maiden of Might: Action Comics #295: "The Girl With the X-Ray Mind!" 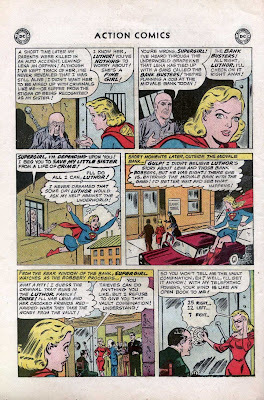 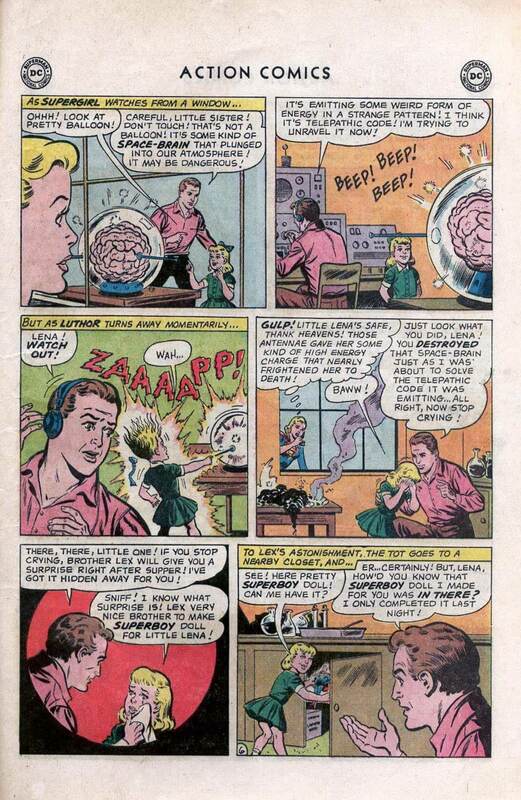 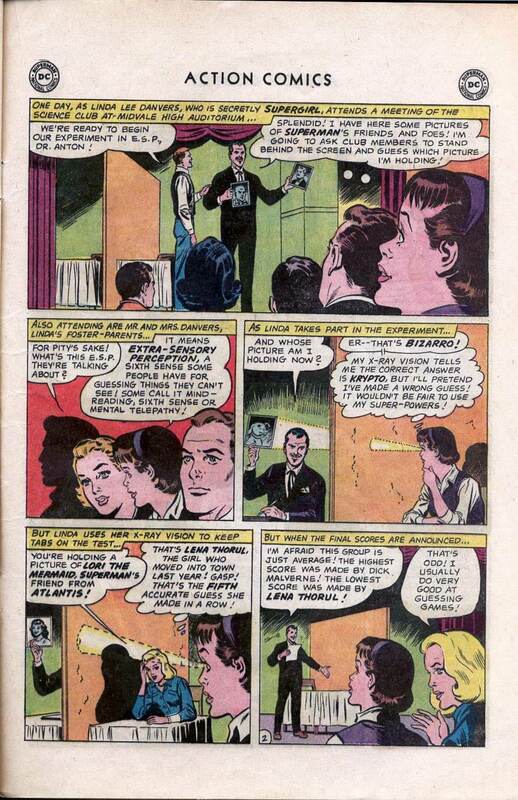 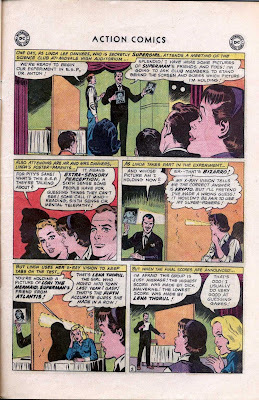 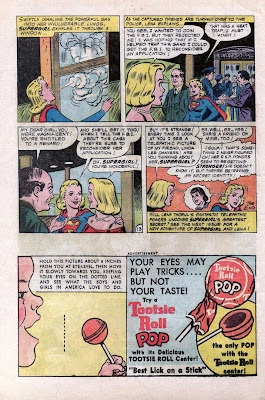 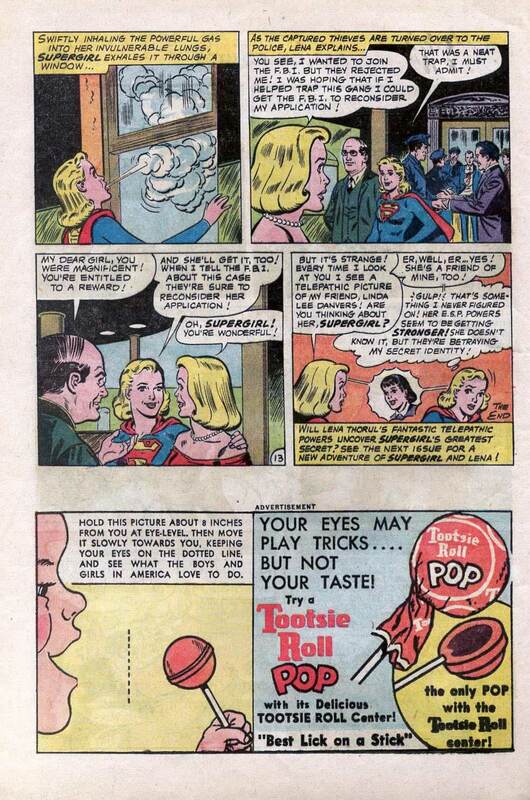 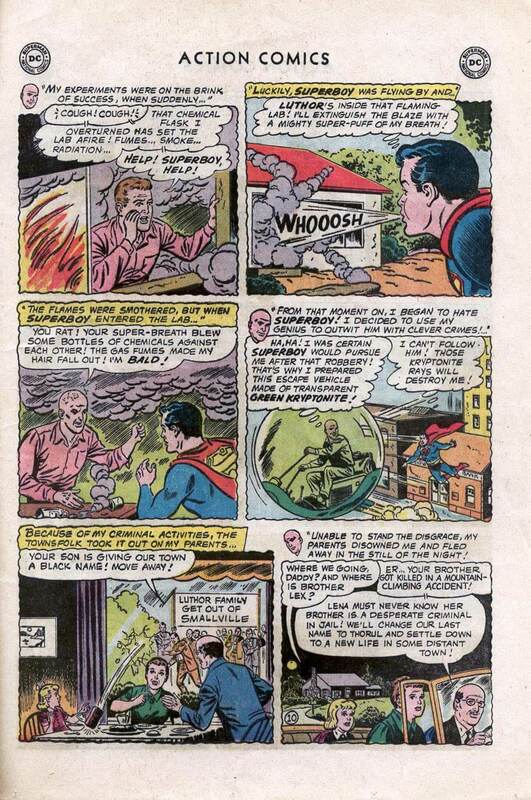 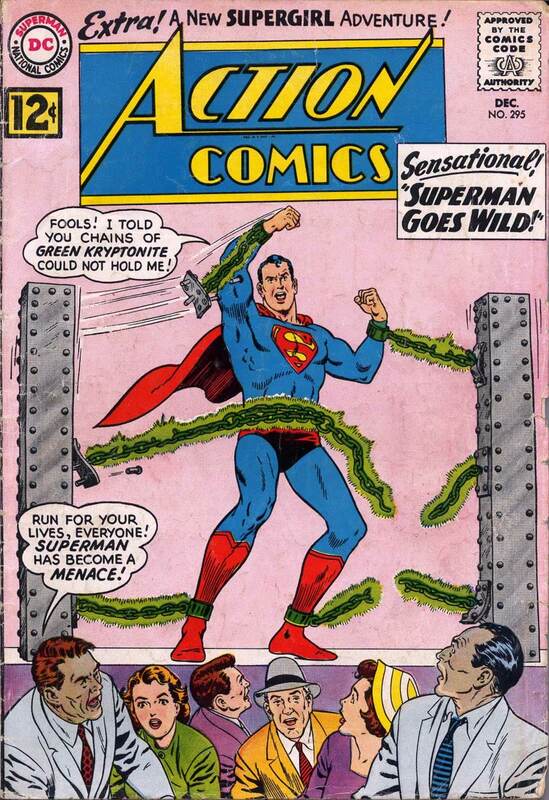 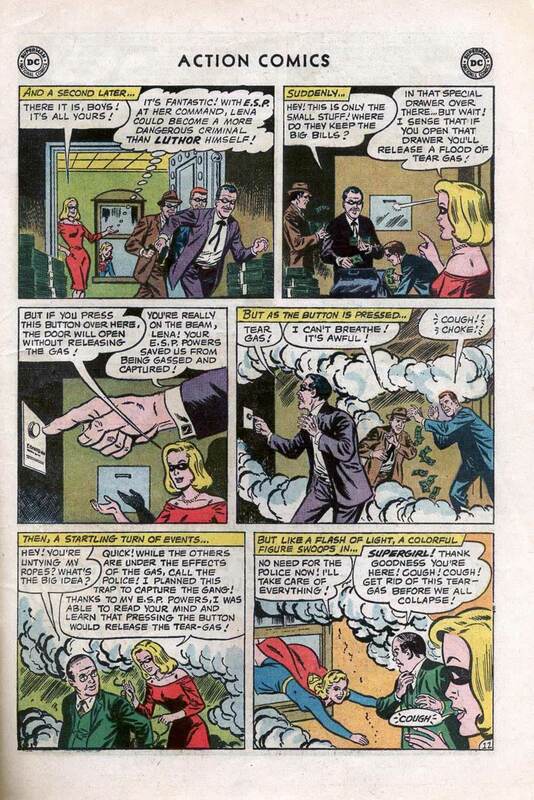 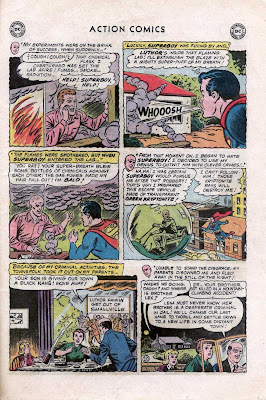 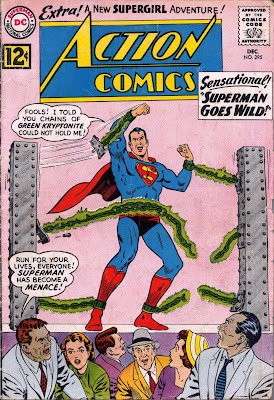 Action Comics #295: "The Girl With the X-Ray Mind!" Synopsis: Lena demonstrates E.S.P. 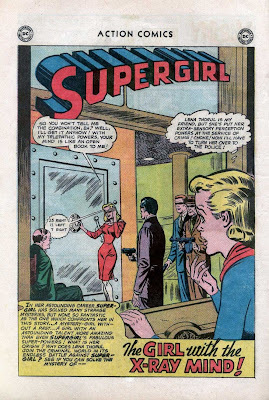 talents but is denied a job with the FBI, so Supergirl goes into the past to find more information on her to help her get the job. 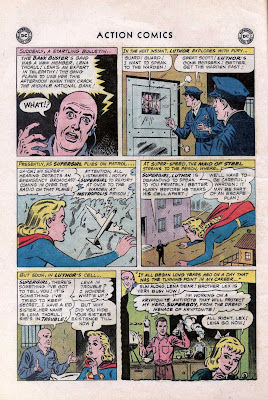 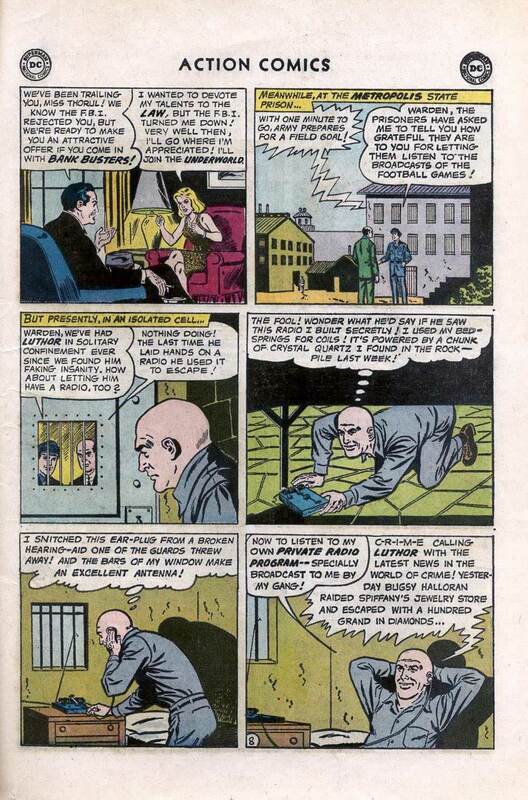 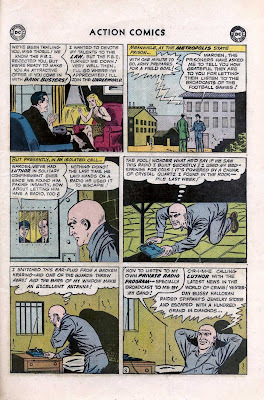 She finds Lena is really Lex Luthor's little sister and one of his experiments accidently gave her telepathic powers, which she uses in a plan to capture some crooks and prove she is worthy of an FBI position. 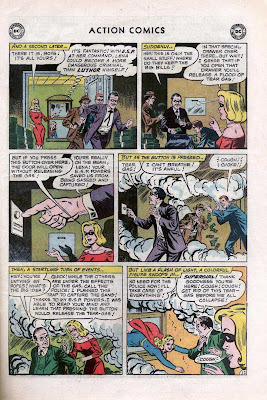 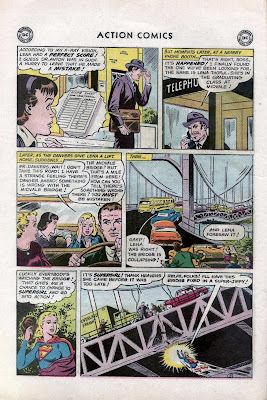 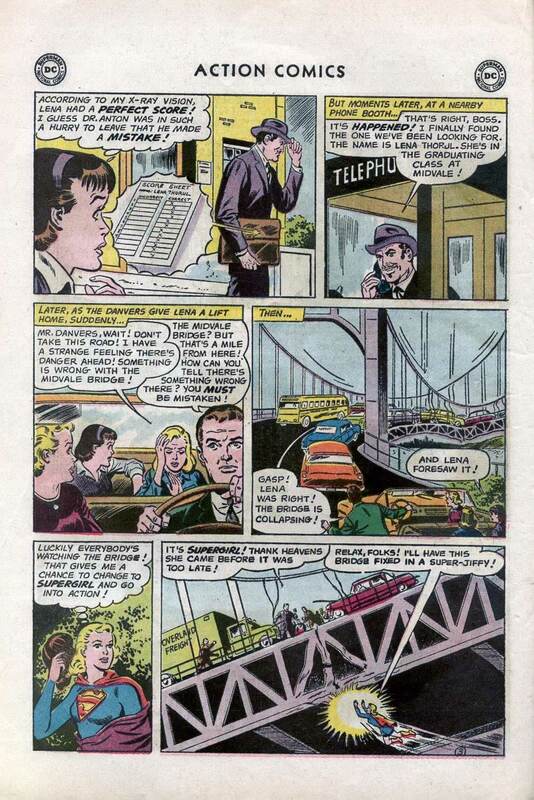 in Super DC Giant (DC, 1970 series) #S-24 (May-June 1971).